The Canadian Apheresis Group (CAG) was formed in 1980 under the auspices of National Health and Welfare, Canada. The group includes representatives from approximately 40 apheresis units in 19 major medical centres in Canada. Our procedures include plasma exchange, cytapheresis (including stem cell collections and photopheresis). Each year we do more than 10,000 plasma exchange procedures using plasma, albumin and crystalloids as the replacement fluids. As such, we use more than 10% of the plasma collected in the country. In 2013, we did more than 1700 stem cell collections, more autologous than allogeneic, with more than 22 different diagnoses. Since the start, the CAG has been involved in the organization and direction of many randomized controlled studies of plasma exchange. In addition, the CAG has acted as a registry by collecting information on all apheresis procedures. 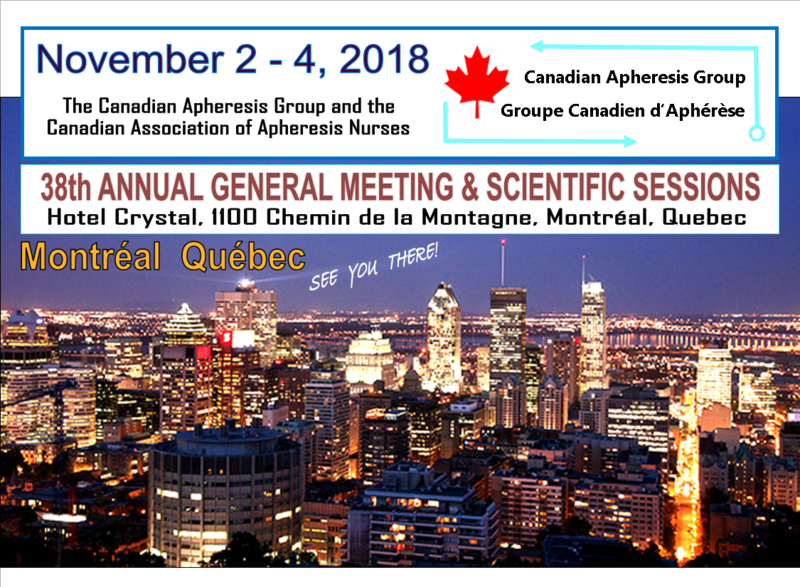 The Canadian Apheresis Association was one of five founding members of the World Apheresis Association (WAA) in 1986. The WAA, an umbrella organization for national and international professional societies devoted to all aspects of apheresis, now represents 14 member societies around the globe. At the annual meeting of the CAG we focus on new evidence and techniques for apheresis. We also carry out a centre-by-centre review. In these reviews the physicians from each medical centre are asked to explain variances in their centre’s activity, with reference to available published evidence and to address the feasibility of creating a future pilot or randomized controlled study. The database is also used as a basis for deciding on the need for new trials. Adverse events are also reported and discussed.